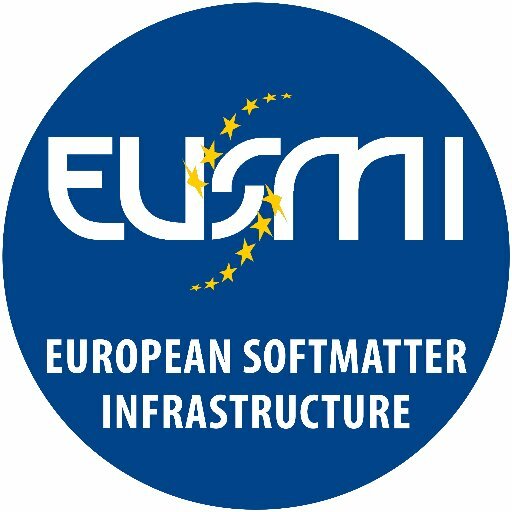 EUSMI is an ambitious networking and infrastructure EU research program that combines the expertise of 15 top-level institutions with the aim to enhance the competitiveness in the European soft-matter research and innovation, through the integration of existing specialized infrastructures and knowledge. Within the EUSMI platform, SyMO-Chem provides synthesis services to researchers that would like to collaborate with SyMO-Chem, where these activities for example include the chemical synthesis of (novel) soft-materials, the modification of current materials or the provision of up-scaling processes. Researchers need to first register as ‘user’ on the EUSMI website, and can thereafter submit a research proposal online via the same EUSMI website. The proposal should be on the (broad) working terrain of soft materials research. Note that activities from SyMO-Chem are offered in the so-called transnational access (TNA) program of EUSMI, so that SyMO-Chem can only work for researchers stationed in EU countries outside the Netherlands. The proposal can be concise and brief, so that efforts for its compilation are limited. Once the proposal has been reviewed positively, SyMO-Chem will perform the services as according to the proposal, where it will be compensated for its activities by the EUSMI project. Accordingly, the performed activities are free of charge for the researcher, i.e. the ‘user’ of the EUSMI network. Please visit the EUSMI web page for more detailed information (see especially the terms of reference for users of the TNA program), and for opportunities that SyMO-Chem can offer within the EUSMI infrastructure project. Of course you can also contact us for more information, in case you have specific questions or remarks, and especially if you would like to submit a proposal.